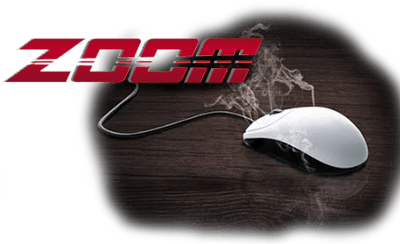 If a standard online tournament or cash game isn't quick enough for you then Zoom poker is the ideal solution. The name is an indication for you that this variation of poker is going to be completely different to your normal run of the mill game. Zoom online poker is a fast paced tournament and ring-game format where you change tables with every hand you are dealt. 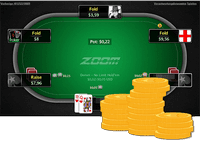 Initially, Zoom will come across as just a standard game of Texas Holdem but you will soon notice the differences when you play your first hand. As soon as the hands are dealt, you will be given an option whether to play the hand as normal or fast fold your hand and be immediately moved to a new table to try your luck there. If you're the type of player that waits mainly for good cards then the fast fold option is going to be a popular feature for you. It allows for players to play more hands per hour than in any other format. This therefore enhances the possibility of making more money per hour. Playing against different and unknown opponents is a key advantage in this format. You will be able to play differently on almost every new table you are moved to, you won't have to worry about balancing your range in specific spots and can open up your game by trying different styles. The more unknown players you play against, the less information they know about your game. Gaining experience in this format is inevitable due to the amount of hands you are playing in each session. Additionally, multi-tabling zoom poker is going to be even more beneficial for your game and you'll soon find yourself making difficult decisions look relatively easy. Recreational players may not be attracted to the aspect of this Texas Holdem variant. The fact that they are able to fast fold to look for a better hand may take the fun away for them as they would usually play an array of hands at a fixed poker table, therefore they tend to play much tighter and more obvious in this format. Table selection will no longer be an issue for you if you are looking to play Zoom cash games. Seen as though you will be playing against a pool of players rather than fixed opponents on one table, you will have to beat every type of opponent in front of you rather than avoiding the tougher players. This might seem like a negative aspect at first but to be successful in this game, beating the better players is something you should be striving towards. As we will be playing different opponents on every table, it's difficult to get reads at the beginning of sessions which could lead us to making bad decisions as we don't know our opponents ranges in certain spots e.g. making light calls in an all in situation. Zoom poker may take away the dynamic of a regular poker table which will prevent players from taking advantage of certain spots that they normally would have. This is because of no history with their opponents and less information which results in decisions being made 'in a vacuum' rather than applied to a specific player or situation. With Zoom poker online, there isn't necessarily a set strategy that you should acquire straight away for this format, it mainly depends on your opponents. The fast fold option plays a huge part in this format and is going to make the average player much tighter as they are waiting for good hands to play. Additionally, a lot of players tend to give up their blinds way too easily as they are transfixed by the fast fold button and just want to wait for a better hand. This is a clear indication for us to be much more aggressive in late position. Even though opponents will eventually play back at us, we can put pressure on them until they start to adjust. In general, late position play is probably the most important part of playing Zoom poker. 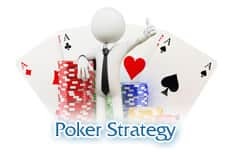 Players tend to try and take advantage of the blinds on offer with the mindset that they are going to be giving up easily due to the fast fold option of the game. This creates an interesting dynamic as players 3betting ranges will become much wider as they know how wide your opening range can be in late position. In this instance, a tighter style of play is ideal and playing your cards can be incredibly profitable. On the whole, I think an aggressive approach is going to be a much more profitable style in the long run but tightening up on specific tables and in certain spots is going to work. Your opponents are the main influence on the style you play and you should always be adjusting to them by using a different approach. More hands played inevitably leads to more variance and swings to your bankroll. When starting out with Zoom poker taking a conservative approach at first is an ideal approach. 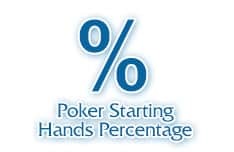 Due to the amount of hands you will be playing in each session, there are going to be more situations where your stack is at risk therefore having at least 70/80 buy ins would be suitable when starting out at this format. It's important not to be affected by the swings that Zoom poker provides, it's going to be much more intense than a normal cash game therefore play smart and make sure you are prepared for a bad swing. The option to multi-table Zoom online poker is always available but adapting to that may take some time. 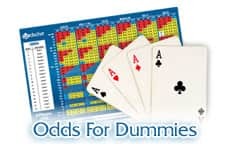 If you're comfortable playing numerous tables at once and making quick decisions then multi-tabling will be ideal due to the fast format of the game. However, if you're trying it out for the first time, multi-tabling will be extremely difficult. 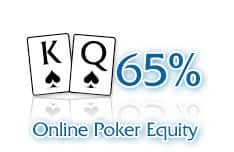 With the number of hands you are being dealt being so much quicker than multi-tabling normal cash tables, you will have to take in so much more information and process it quickly before making optimal decisions. It will be difficult for you to play your best game therefore slowly adapting to this format is an ideal approach with the option of multi-tabling after you have gained experience. Obviously, the more you play Zoom poker then the more you will figure out for yourself in relation to strategy and gaining an edge, but it's certainly an experience worth gaining.